We would appreciate the opportunity to serve you! Welcome to City Glass of Santa Maria, located in the heart of the Central Coast of California! We would appreciate the opportunity to serve you. City Glass is your Central Coast full service glass shop! City Glass provides excellent sales, service and installation on all the products we sell and offer delivery service as well. Offering quality products & service is important to us. From the products you choose to the service you receive, your complete satisfaction is our goal. We serve both Residential & Commercial Clients! 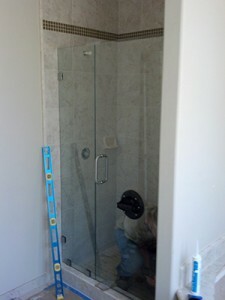 Windows, Doors, Showers, Skylights, Acrylics, Mirrors, Screens & Customs. Store Front and Heavy Commercial Interior & Exterior Glass Doors Install & Repairs. Please Contact City Glass for all of your glass needs! City Glass is a full service glass shop providing our customers with all their glass needs in a prompt, professional manner. City Glass is committed to serving each customer with personal service to meet their individual needs, regardless to the size of the job. Complete customer satisfaction is our goal. Please do not hesitate to contact us regarding our free estimate and plan take-off policy. City Glass is a certified Milgard Dealer. This means that City Glass has special training in regard to the Milgard Product, and also has the best pricing on the Milgard Product. The installers at City Glass will provide you with excellent service and installation when you purchase Milgard Windows and Doors. City Glass also sells and repairs other window and door brands as well.